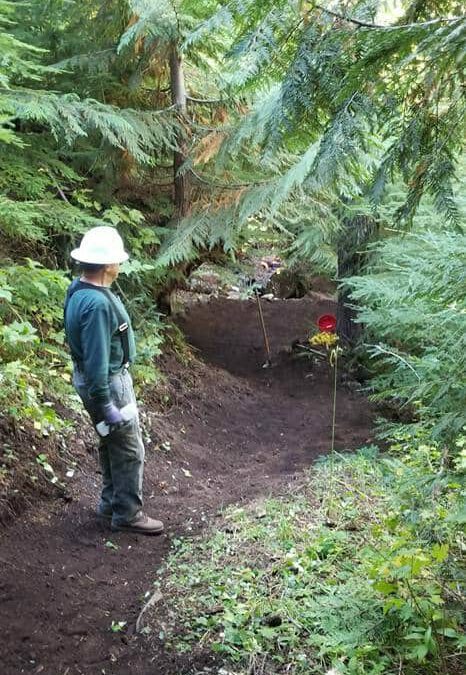 Please join us for a day of moving dirt and rocks as we work to make Lawler trail even better than it is. Meet at the Hardesty Trailhead at 9 am, from where we will carpool to Lawler. Light refreshments will finish off this volunteer work day. Bring water and a bite to eat, wear long pants, sturdy boots, and gloves. Hardhats are required, and will be supplied if you don’t have your own.